Will this smart home device amass even more personal info about you? 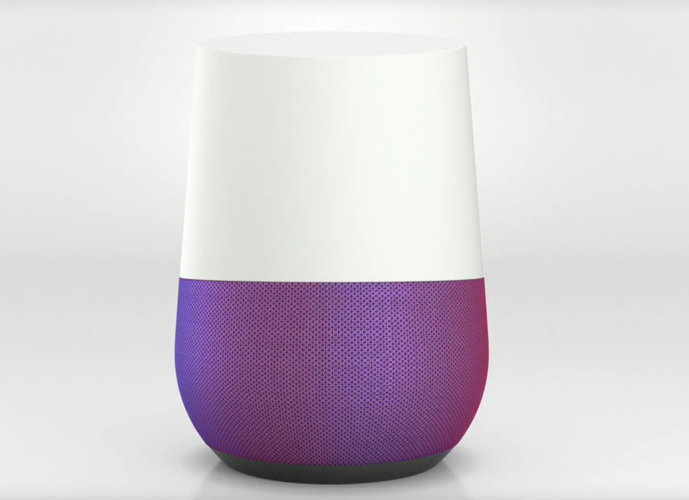 Google this week took the wraps off Google Home, its smart speaker and home entertainment hub, but questions remain about the impact the device will have on users' privacy. A direct rival to Amazon Echo, Google Home is the company's entry into the smart home market. Want Google Home to play your favorite song? Just say, "OK, Google" and ask for it to play the music. Want the device, which is equipped with its artificial-intelligence based Assistant, to play that funny cat video from YouTube on your TV? You get the picture. Google Home is always listening for the phrase, "OK, Google" so it can take its instructions. The issue that has some people concerned is the phrase "always listening." Since Google collects information about what users are searching for online, what phrases they using in their email, what directions they want in Maps and where they are day to day, what more information could it be collecting about what users are doing in their own homes? Could the new data being collected be even more personal? "There are plenty of privacy issues with this type of always listening technology," said Dan Olds, an analyst with OrionX, a technology analyst firm. "It's obvious that any device that is always listening could also be always storing and always analyzing anything that is within earshot of the receiver." Olds added that Google Home could help Google amass a whole new range of information about people. "It could give Google a hell of a lot more personal data about users than they get now," he said. "That microphone will be a witness to every verbal interaction in the home. It will also know what you watch on TV, what you listen to, and, obviously, when there's no one home." Google, however, told Computerworld that user privacy was foremost in designers' minds when they developed the device. "All the devices that come with the Google Assistant are designed with privacy in mind," said a Google spokesperson in an email. "We only process speech after the hotword "OK Google" is detected. If the hotword is not heard, the audio snippet stays local on the device and is discarded." The spokesperson did not say how long the information stays stored locally. However, she did note that users can access the data that has been collected about them by going to their My Activity page and delete what they don't want collected about them. What will Google do with the data collects from its home device? According to the company spokesperson, the device will use its audio history to learn the sound of users' voices, how specific users pronounce words and phrases and further improve speech recognition. She did not say what would be done with the data collected from things like music preferences and search questions. "Google claims that the information is only captured when you are making a request, but with all of the security problems we've had with technology in this class, baby monitors in particular, you sure wouldn't want anything like this someplace where security was a big concern, like in a conference room or lab, for instance," said Rob Enderle, an analyst with The Enderle Group. "In most cases, the exposure is likely more on whether it can tell and report on whether you are home or not, but with the alleged Yahoo email scanning scandal, the level of concern is, and likely should remain, high." Of course, Google has noted that users can press a Mute button on the Home device so it isn't always listening, but that diminishes the usefulness of the device. Patrick Moorhead, an analyst with Moor Insights & Strategy, said users should always be on guard. "To be on the safe side, consumers should assume Home is always listening," he said. "Google also didn't specify whether or not information mined through Home would be used to build advertising profiles. Consumers who want a high degree of privacy should be worried and do the due diligence to read privacy agreements." For Olds, Home simply has a high creepy factor. "I think that people will be creeped out by these systems as they become more sophisticated," he said. "Imagine that you were having a casual conversation with friends about adding a hot tub to your back yard. The next day, as you go about your digital business, you might find your email inbox full of ads for hot tubs, and all of the banners on your internet searches festooned with even more ads for hot tub dealers. Is the convenience offered by these products worth the highly targeted advertising that will be the end result? We'll see." Ezra Gottheil, an analyst with Technology Business Research, said he's sure that Google Home will collect more information about users than the company had before. He's just not all that worried about it. "The reason I live with Google's having so much of my information is that it makes the services more useful to me, and I'm sure enough that it won't be revealed to anyone or used for anything other than advertising and responsiveness," he said. "I'm not totally sure, but it's a gamble I'm willing to take." Enderle noted that society is reaching a time when everything people do likely will be captured by someone. "I don't think we are ready for that eventuality yet," he said. He also had a piece of advice for anyone worried about Google Home collecting too much data about them. "Don't buy it."